Today marks a milestone for fans of the Jurassic Park film series. With over a decade of no releases, Jurassic World director Colin Trevorrow has taken to Twitter, letting fans know that the next installment has finished filming. 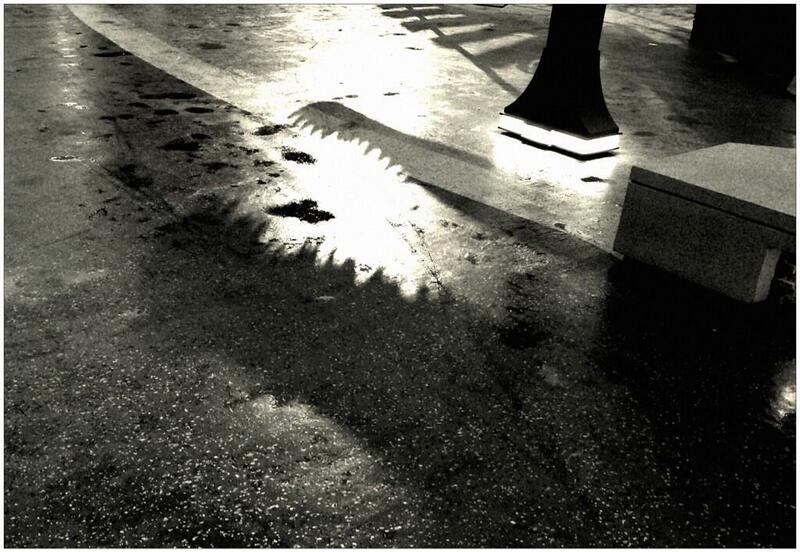 Like J.J. Abrams with Star Wars, Trevorrow’s updates always contain overt teases. It seems that the final slate has found itself in the familiar jaws of a certain royal creature. 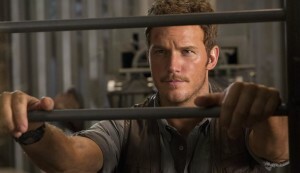 Additionally, when Guardians of the Galaxy opened last week, Trevorrow released a new still of Chris Pratt as “Owen.” Looking intently at something we can’t see, Pratt has since assured fans that this film is far more serious than Guardians, and that what humor is present is akin to the roles of Samuel L. Jackson and Wayne Knight in the original film – thus not really coming from the comedic Pratt. Regardless, we can’t wait to see the Parks and Recreation star on the big screen again. (Hint: he’s really good in Guardians: How good?). For many people, the phrase “Jurassic Park” is more than just a movie or book title. It conjures memories and images of a whole, seemingly-tangible world created by Michael Crichton and brought to life by Stephen Spielberg. In 1993 and 1997, Spielberg released his dinosaur-filled films, Jurassic Park, and The Lost World: Jurassic Park. Many agree that Jurassic Park is one of the most groundbreaking movies ever made; and while The Lost World is not remembered quite as fondly, it naturally progresses the story begun in the first film and expands its world in a mostly organic way (the T-Rex in Sand Diego, however, made many viewers frown). In 2001, Spielberg stepped away from the director’s chair and let Joe Johnston take the reins on Jurassic Park 3. Unfortunately, this film featured no likable characters (other than the returning Sam Neil as Dr. Alan Grant), no continuation of the story or themes of the first two, and no attempt to portray the dinosaurs as believable animals. Instead, the film quickly tried to up the stakes by replacing the T-Rex with the bigger Spinosaurus. From there, the hour-and-a-half film devolved into a generic monster movie held together by lots of running and screaming. A blue background…not the old red or yellow…possibly reflective of the inclusion of aquatic creatures? Now, after more than a decade of limbo in “development hell,” a fourth Jurassic Park film is being made. Spielberg is working closely with Safety Not Guaranteed director Colin Trevorrow to resurrect the franchise to its former glory. 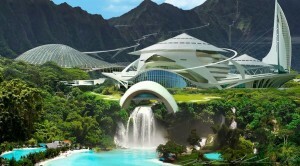 Thankfully, the 2015 film, titled Jurassic World, aims to return the tale to its theme park roots. Interestingly, the title creates a nice string of word-evolution from the first two films (Jurassic Park, The Lost World: Jurassic Park, Jurassic World). Perhaps this is wishful thinking, but could it be that Trevorrow is cheekily choosing to ignore the existence of the third film? We certainly hope so. Regardless, twenty-one years after the Isla Nublar incident, a new destination attraction has been built, and by the time the film begins, it is fully-functional and visited daily. Parks and Recreation star Chris Pratt will be one of the leads, playing a character named Owen, who studies the behavior of raptors. 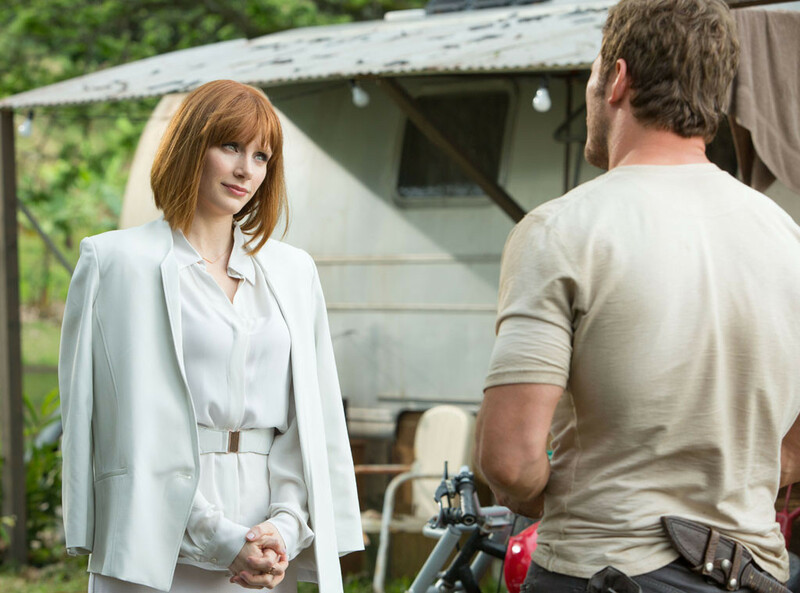 Bryce Dallas Howard will play a park employee in a prominent position, possibly helping to create some of the dinosaurs. A clad-in-all-white character approaches a man with a trailer who knows raptors…Sound familiar? 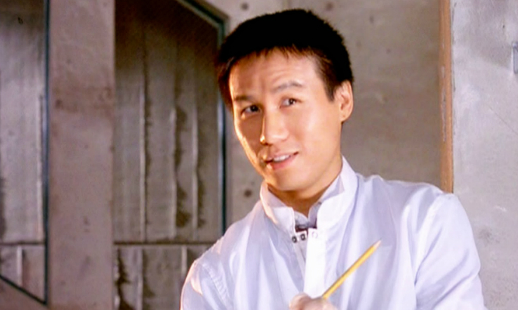 Dr. Henry Wu, as he appeared in the original film. Speaking of creating the dinosaurs, the scientist responsible for this fictional feat back in 1993, Dr. Henry Wu, played by B.D. Wong, will be returning, offering a welcome sense of continuity to the series. The cast will also include Nick Robinson (Boardwalk Empire), Ty Simpkins (Insidious), Irrfan Khan (Life of Pi), Omar Sy (X-Men: Days of Future Past), Vincent D’Onofrio (Men in Black), Judy Greer (Dawn of the Planet of the Apes), Katie McGrath (The Tudors), Lauren Lapkus (Are You Here), Brian Tee (The Wolverine), Andy Buckley (The Office), and James DuMont (Dallas Buyers Club). Since there is still almost a year until the film’s release, Trevorrow has, on increasing occasion, graciously teased eager fans with new images and teases from the set. While filming at the increasingly-popular shoot location, the abandoned Six Flags in New Orleans, he tweeted a mysterious photo of a large dinosaur’s shadow. 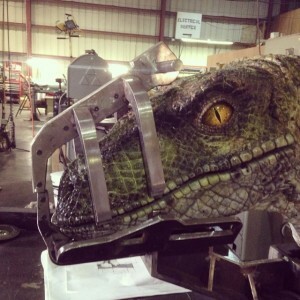 Additionally, just yesterday, the first clear picture of an animatronic velociraptor was released. Trevorrow clearly wants fans to know that he understands how important practical effects were to the original films. After all, they still hold up to this day. Mosasaur? Whatever it is, it looks big. A bit more green than the original brown and tiger-striped raptors of the first two films…We like it! 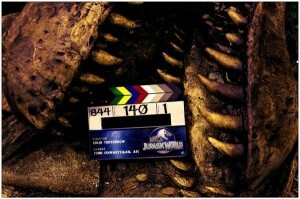 Until next June, you can keep up-to-date with Jurassic World news by following our commentary and postings. Though the park is closed for now, you can still visit it by re-watching the old films, or by playing Jurassic Park: The Game, made by Telltale Games. If that doesn’t tide you over, maybe Trevorrow will release new images and concept art to keep you interested. He certainly has a history of letting such happen. Concept art for the newly-improved park. 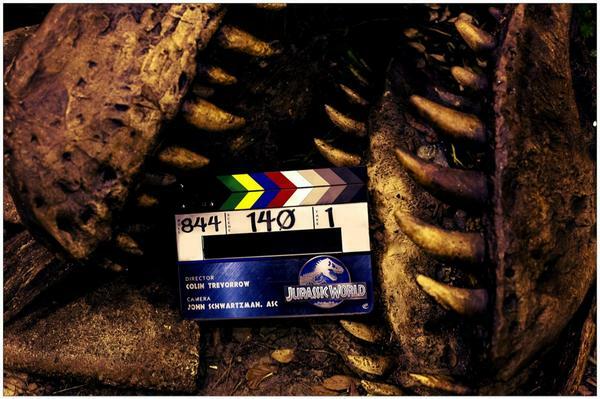 Jurassic World opens on June 12, 2015. We can’t wait to roll through those giant gates, or whatever the new entrance looks like, once more.